Our physicians are on staff at Good Shepherd Hospital in Barrington, which serves as the practice’s primary resource for out-patient testing, referrals and in-patient care. 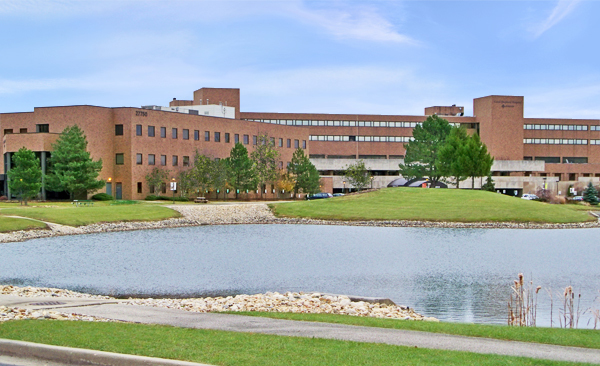 Good Shepherd Hospital is a member of the Advocate Health Care System, currently the largest hospital-physician network in Illinois. The hospital is located at 450 W. Highway 22 in Barrington, about a mile west of the Barrington Road (Route 59) - Half Day Road (Highway 22) intersection. Our office is located another 5 minutes west of the hospital. Good Shepherd is a progressive, full-service hospital offering a Level II Trauma Center, nationally recognized Cardiac Care and Cancer Care programs, and a state-of-the-art birth center. A repeat recipient of the Distinguished Hospital Award for Clinical Excellence, the hospital is ranked in the top 5% nationwide for overall patient care. Advocate has an established and well-respected Hospitalist program for in-patient care, as do all major health care institutions throughout the United States. Whereas our practice strictly provides office based or ambulatory patient care, Hospitalists are Internists who have been specifically trained to manage all aspects of inpatient care. They provide around-the-clock care for the hospitalized patients of Primary Care Physicians who utilize their services. Studies have consistently demonstrated that the inpatients of physicians who collaborate with Hospitalist programs have better outcomes and shorter hospital stays. We maintain regular communication with our Hospitalists (i.e. the Best Practices Hospitalist group) regarding each patient’s status, diagnostic evaluation, consultant referrals, treatment and disposition. We have been successfully using the program since 2002, and have been very pleased with the level of patient satisfaction, outcomes and care rendered.